The following results are the final placings and gradings from recent Specialist Shows held throughout Victoria and interstate. 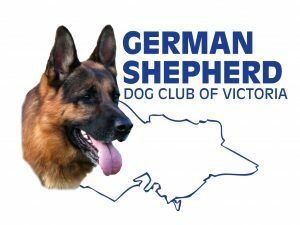 The requirements and characteristics of the German Shepherd Dog are detailed in the Breed Standard, and at these Shows all animals exhibited are assessed in accordance with this Standard, taking all aspects of the dog’s construction, temperament and movement into consideration. All animals exhibited may receive a grading in accordance with the judges opinion of their merit. As these Shows have a very large entry, all animals are placed from first to last, and the grading system indicates that there are dogs of very high quality in each class, rather than simply focusing on the eventual class winner. Puppies up to 12 months of age can be entered in the Baby, Minor and Puppy classes and may receive the gradings of “Promising” or “Very Promising”, whilst animals over 12 months of age entered in Junior, Intermediate and Open classes may receive the grading of “Good” and “Very Good”, with animals over 2 years of age who have been classified at Breed Survey and are exhibited in the Open Class may receive the grading of “EXCELLENT”.